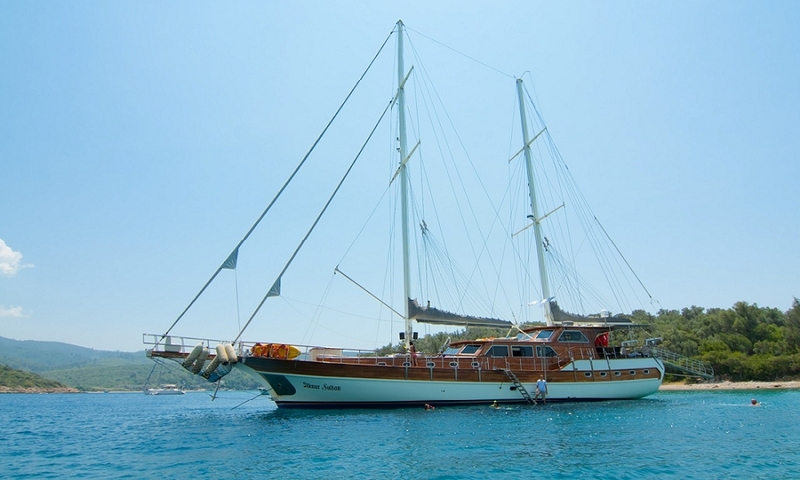 A great favourite of Guletbookers guests, the Ilknur Sultan luxury gulet ketch is one of the most attractive charter yachts sailing from Bodrum harbour, for both her styling and the service aboard. 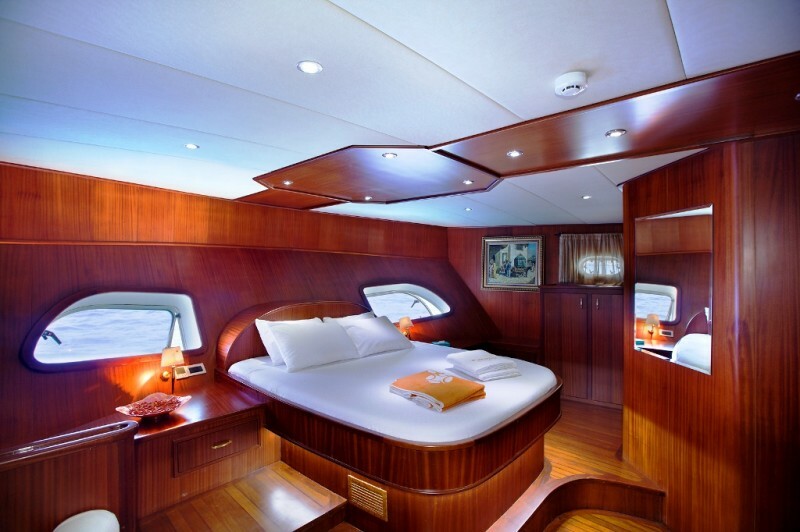 Within Ilknur Sultan’s 30m hull there are just six well-designed cabins. 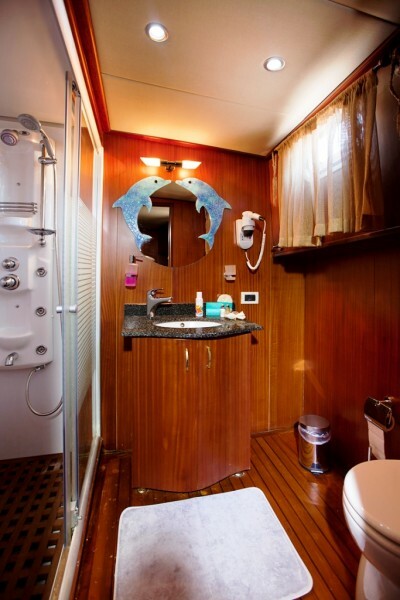 The two spacious light-filled master cabins aft and in the stern have a queen-sized bed, side couch and hydro-spa showers in the en suite bathrooms, while the two double and two double+ single bed cabins also have well-fitted shower bathrooms. 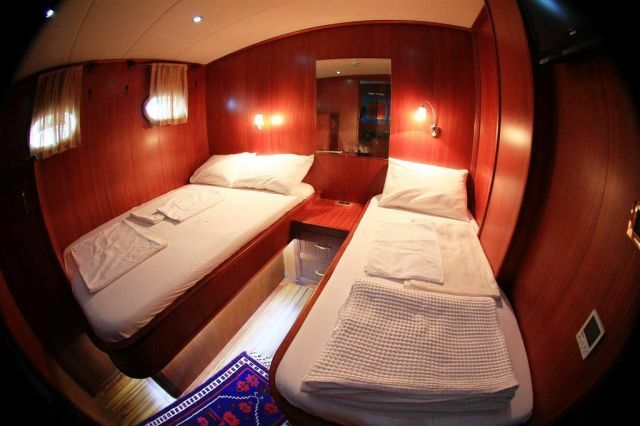 The single beds are not quite full length so are more suitable for children. 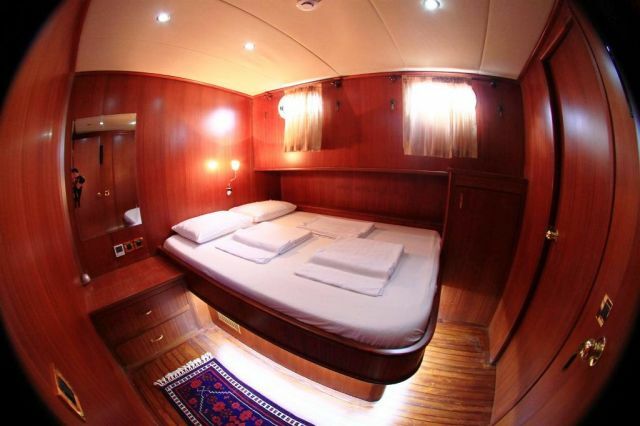 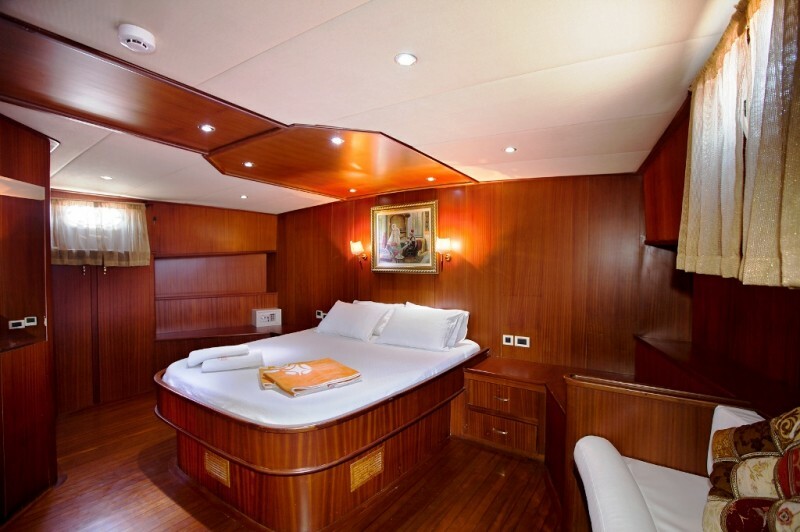 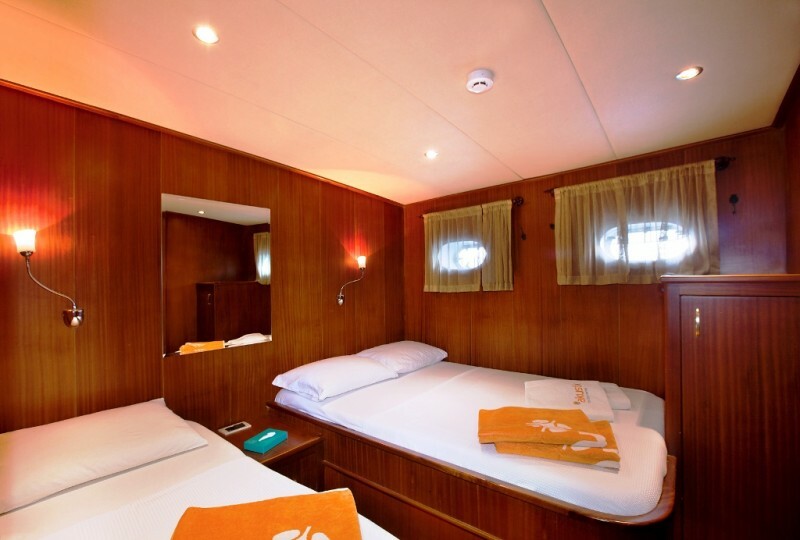 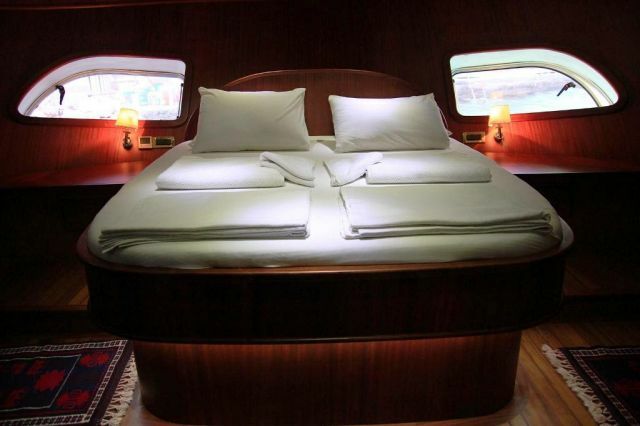 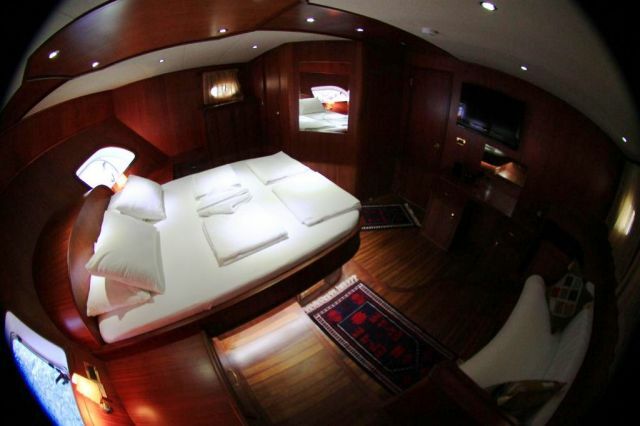 All cabins have a modern, uncluttered yet sophisticated timber finish decor, and enjoy air-conditioning throughout. 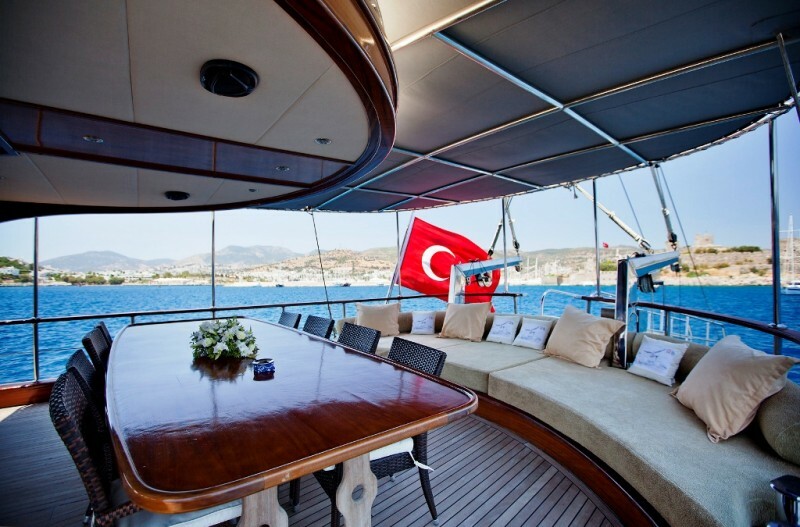 The air-conditioned indoor saloon on Ilknur Sultan gullet has an inviting communal area with comfortable long seats for relaxing on, a dining table for an indoor meal or snacks, plus TV/DVD and music system, and internet connections. 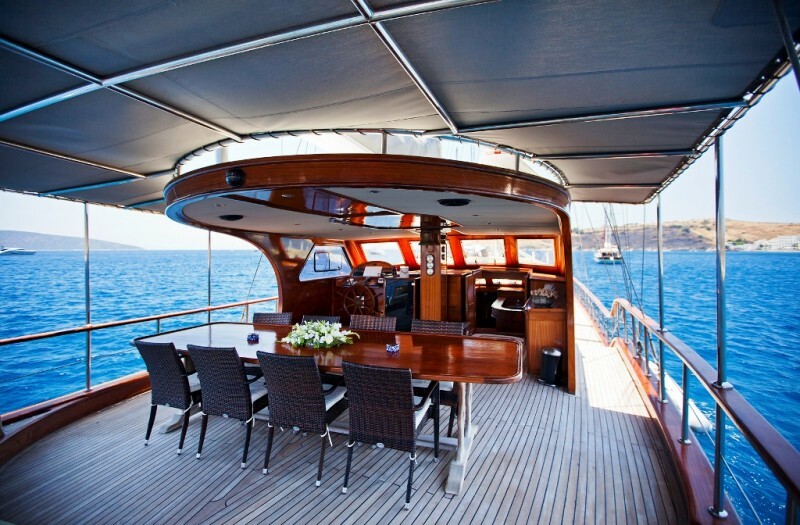 Ilknur Sultan is noted for her generous deck area. 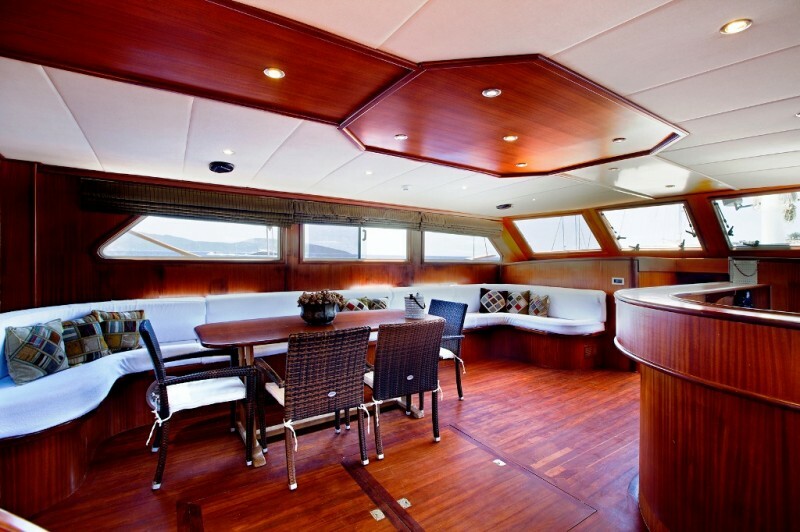 On the aft deck beneath the fixed awning, it is possible to recline on the sweeping curve of cushions for the entire day, or perhaps move two steps to the outdoor dining table set for a feast by the crew. 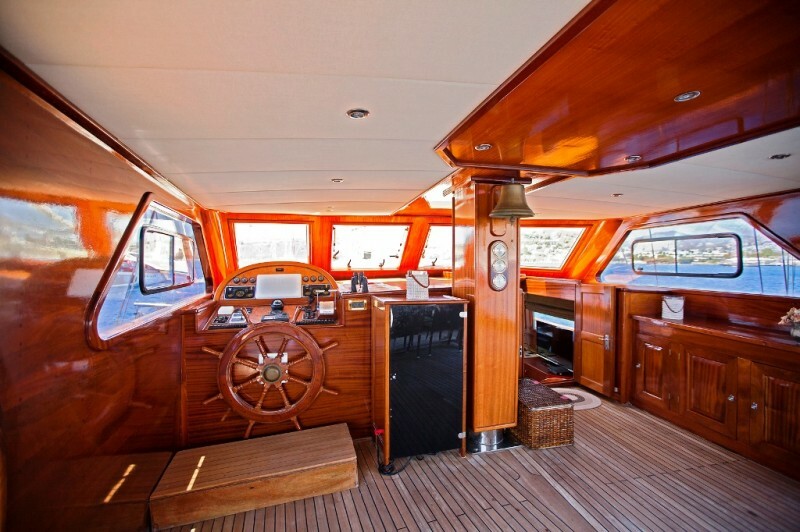 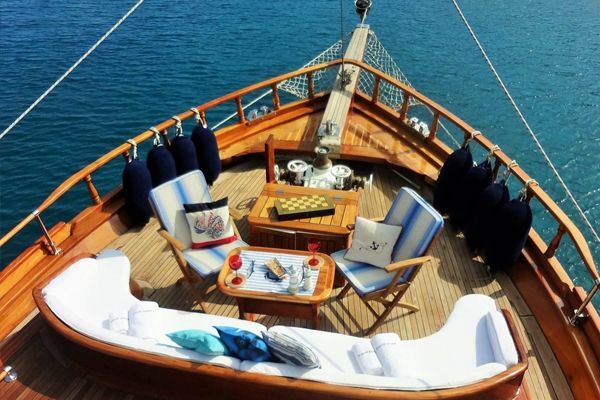 On the fore deck there is ample space with a sunbed for each guest, and the highlight of the yacht, the deck jacuzzi, a rare feature on a luxury gulet. 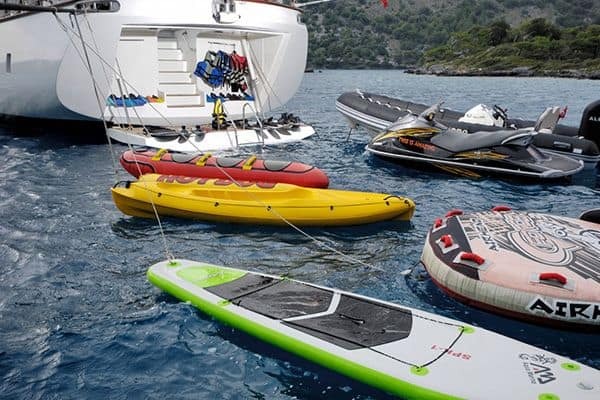 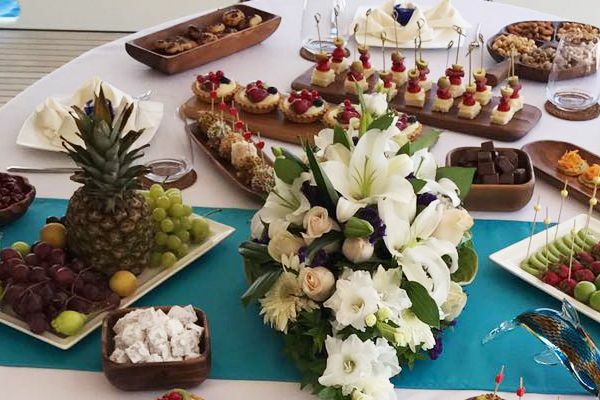 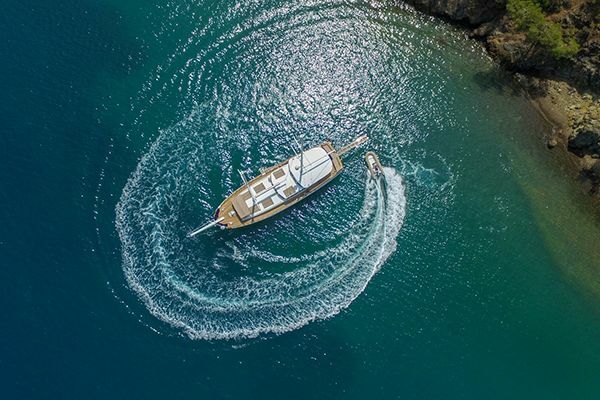 The friendly but very professional crew including hostess, maintains the yacht impeccably, produce excellent meals every day, and assist with all activities and the guests’ requests. 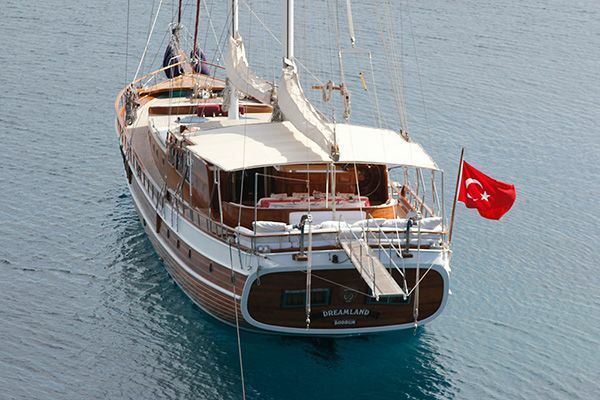 The powerful engines and full sail system can carry guests along exploring the Aegean coast of Turkey and amongst the Greek Islands for a memorable gulet charter holiday.